This week’s entry in the Walt Disney World t-shirts file brings a couple of very stellar outfits direct from Dinoland U.S.A. I noticed these when exiting the area’s signature attraction, with the oh-so-obvious name, ThunderLizard. 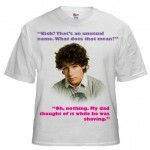 I was a little disappointed that these were only available in kid sizes. They illustrate a trend in recent Disney efforts of showing a body on the shirt itself, with the head filled in by your head. I’ve seen several of these types of shirts popping up around property. Still not our dino, but at least this one’s a vegetarian. Guess who made it back with you? Heck, yeah! Your kid can become the spitting image of character actor Wallace Langham, who had a bit part in the Oscar-nominated movie The Social Network and a full-on supporting role in Kirstie Alley’s short-lived 90s sitcom, Veronica’s Closet. This shirt shows him (or at least his torso) in his greatest role, Dr. Grant Seeker, friendly controller and a heck of a paleontologist if he does say so himself. 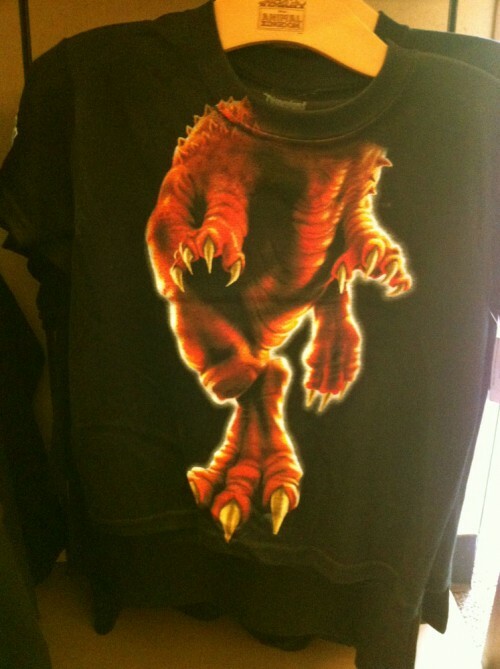 Being the Countdown to Extinction geek that I am, I would love to own this shirt. If any Disney merchandisers are reading this, please get us some adult versions pronto. I think what makes me chuckle the most is that they took the trouble to get a lot of details right. They could have just stopped with the white coat and nametag, of course, but the tie is a pretty close match, with its red knot and diamond pattern. The one capper that would have sealed the deal for me is they had copied Seeker’s killer denim shirt, but that’s a minor quibble. Sign me up for this one. Shown here dealing with some pesky locked coordinates. Oh, and as a side note, how come I never realized the bad joke in Dr. Grant Seeker’s name until just now? I mean seriously, how does that one slip by me? And Kevin Yee had to point out the pun in Blizzard Beach’s mascot name earlier this week, which I had also missed. Ice Gator. Ice Skater. It’s almost like Disney is fixated on puns. I wonder if there are any hidden in the Jungle Cruise? 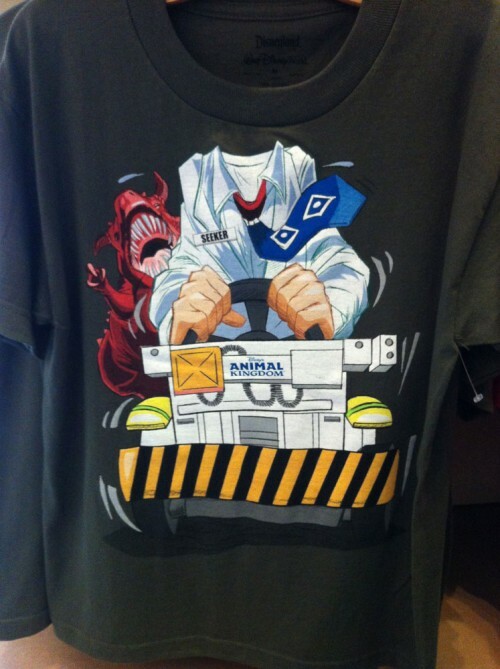 This entry was posted in Disney Theme Park News and Rumors and tagged Dinosaur, t-shirt. Bookmark the permalink. Ugh!! Coming up on 15 years of riding that ride, and I never noticed that pun until just now either. I’m embarrassed. Also, I just stumbled across your blog today, and I’m already enamored. Your writing on Disney feels very refreshing to me — informative, interesting, genuinely funny (I have awkwardly stifle-laughed at my desk several times), not weighed down by pixie dust, but also not veering into the hatefully snarky zone. Well done! Glad you found us, Colleen! It always makes me happy when someone “gets” what we do! I love Dr Seeker- I think i need this shirt. ‘Not our dino’…. 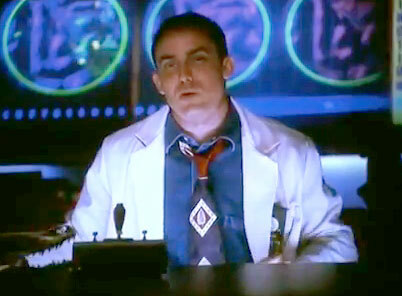 don’t forget his counterpart… Dr. Helen Marsh. Okay, I have to ask… Is Helen Marsh a pun? Is it one of those smart scientific ones? Now I’m watching old Cosby Show episodes, trying to decipher the Imagineering wit! At the end of the day, I’d rather call her Claire Huxtable. But, yeah, I’ve wondered that same thing. Maybe “hell and marsh”?That isn’t very Disney though. I am incredibly ashamed to have never gotten the Seeker pun either. What a depressing day for my years of CtE mania..
Also Mr. Langham is Hodges on C.S.I.